First: Yes, I do have a Windows computer. I do like to play PC games and I am not a big fan of consoles so MS Windows is the obvious choice for a gaming computer. 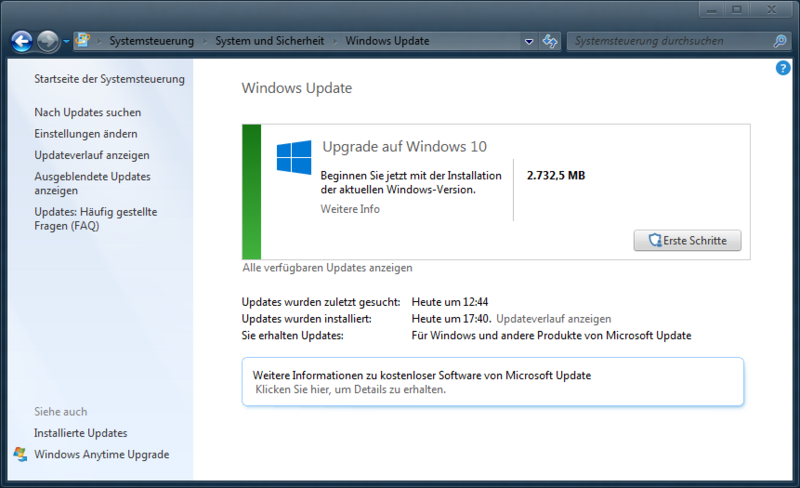 I’ve disabled the “Get Windows 10” App Update (KB3035583) previously. Before today, that one also got automatically reinstalled after Microsoft apparently released a newer version of that update, causing it to reinstall although I’ve previously told Windows that I don’t want that update. Screw that. 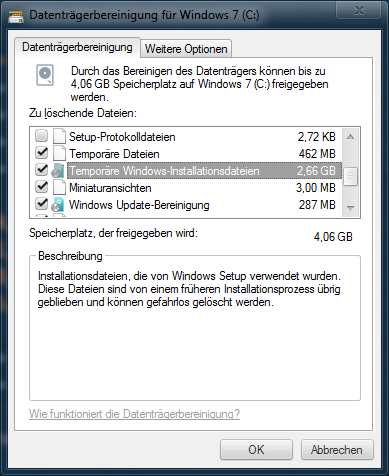 If I were using a small SSD drive that 2,66 GB of space might be important to me. So, this is the third attempt of Microsoft to get me to update to their “NSA-Dream I watch your every step” operating system. I DON’T WANT IT! Update to the before mentioned app, that reinstalled it. 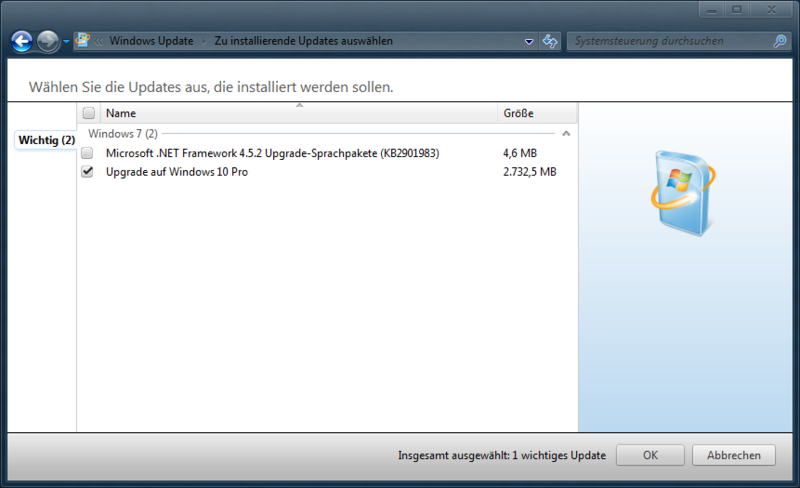 Now via Windows Update as “Important update”. Microsoft has just released another update for the GWX-App. The DisableOSUpgrade = 1 did not prevent the app from being updated nor did the app honor that setting. It still wants me to update to Windows 10. Once again, only uninstalling the update and blacklisting the latest version did help. For now. Until Microsoft decides to push another update. If anyone has a more permanent solution, please let me know. English Post, General, Rants. permalink.